1.Add a cool carpet that you would not expect to see in a bathroom. The traditional bathroom carpet is fine but this makes it really fun. 2. Big white towels. This one is always guaranteed winner. Big fluffy white towels always make a bathroom feel clean and fresh. Fold them on shelves, in baskets or roll them and put them on the edge of the tub. 3. Add shelves....but don't fill them up with tooth brushes and shaving cream! Use them to show artwork, beautiful perfume bottles or something else decorative. 4. Add flowers or branches. I do this one all the time in my tiny powder room. I put the flowers in a small vase on top of a small shelf and it brightens up the whole space. 5. 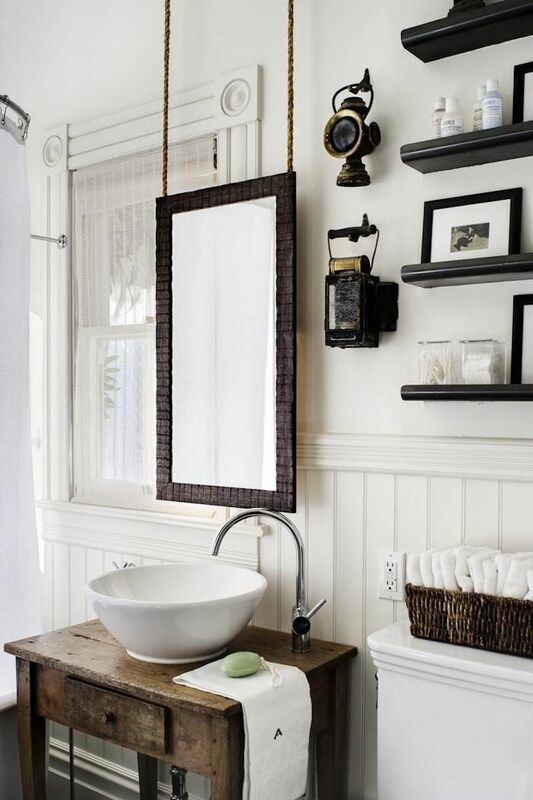 Add baskets under the sink or on shelves in the bathroom. I add rolled washcloths to my baskets for guests to use as individual hand towels. 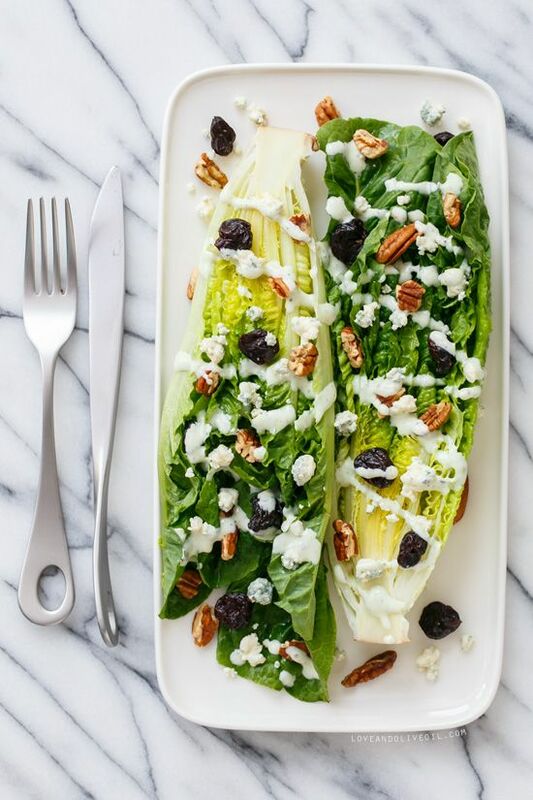 Looks great and guests love it! 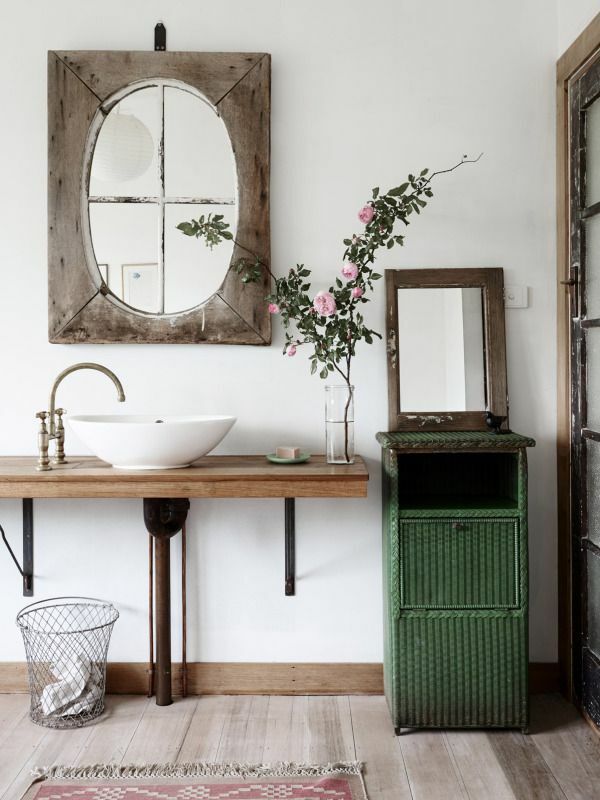 I found this super cute apartment in France at The Style Files and I just love it! 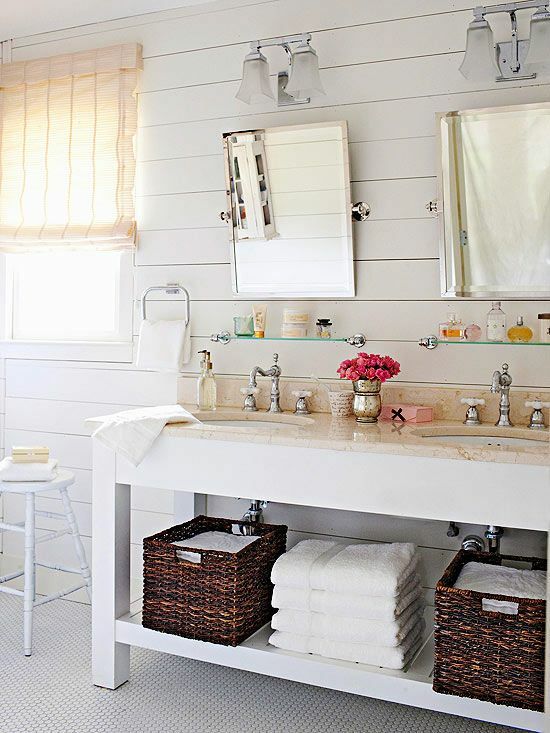 So small but really well done...all white to keep the space open and fresh. What I think is so brilliant is the the use of repetition in this space. 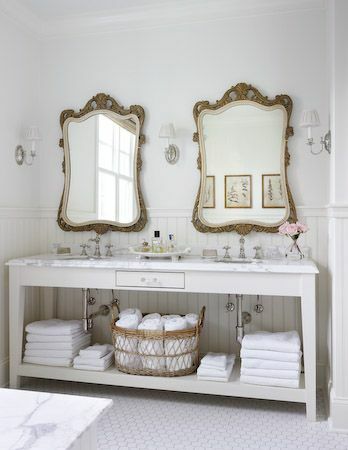 The use of the round baskets on the wall make it feel so much larger and then the feeling is repeated with the mirrors on the wall. The large mesh lamp is shown in the living room and then just steps away it is featured again in the dining room as well. The vases on the table, although different sizes and shapes, are numerous and create a great impact. You would think that all of these repeating elements in such a small space would seem cluttered but actually it looks amazing! This fixer upper was just what designer Kelley Motschenbacher was looking for when she and her husband began looking for a country home. They created a beautiful and comfortable space filled with white furniture and colourful accents. Gorgeous white sofas slip-covered with vintage French linens make the upkeep easy even with a big golden lab! I really love the desk area with the wonderful shelving and the amazing lamp and the bedroom wall lamps are also really great. There are so many perfect vintage pieces in this space that add wonderful texture like the rattan coffee table and the wooden basket she uses as a table in the bedroom. Add a few rag and sisal rugs and you have the perfect place to relax and unwind on the weekends! 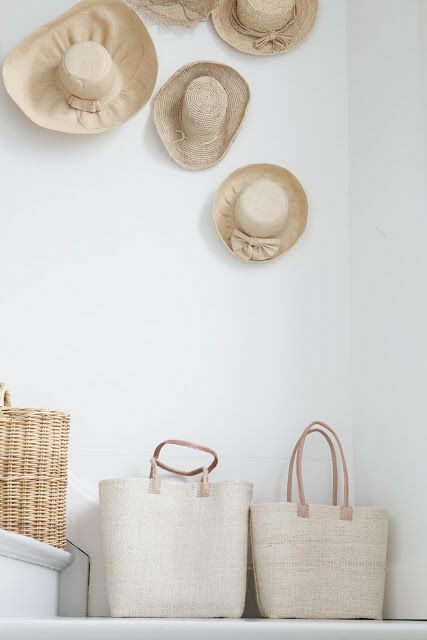 There are so many ways to use beautiful and interesting shaped baskets around the house. I just got some new Market Baskets in the shop and I just love all of the different ways you can use them or any basket for that matter. Great for firewood, pillows and extra throws, flowers or for really going to the market (much nicer looking than another recycled bag!). 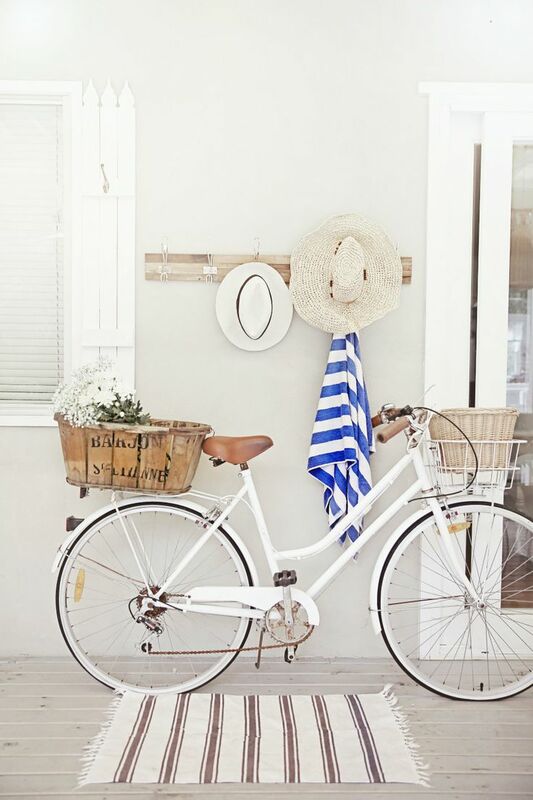 Take a look at some of the inspirations for how to use baskets in your home and go check out the new market baskets at the shop (basket below is in the shop)! via: Chloe Crane-Leroux photography, tumblr images.